Fermentation: Barbera, Trousseau, and Graciano were each fermented in open top fermenters with 100% stem inclusion; Cabernet Sauvignon was destemmed and fermented in an open-top; the Tempranillo was destemmed and fermented in a closed-top tank / all lots were pressed at dryness and barreled down to neutral 227L barrique until May 2018. 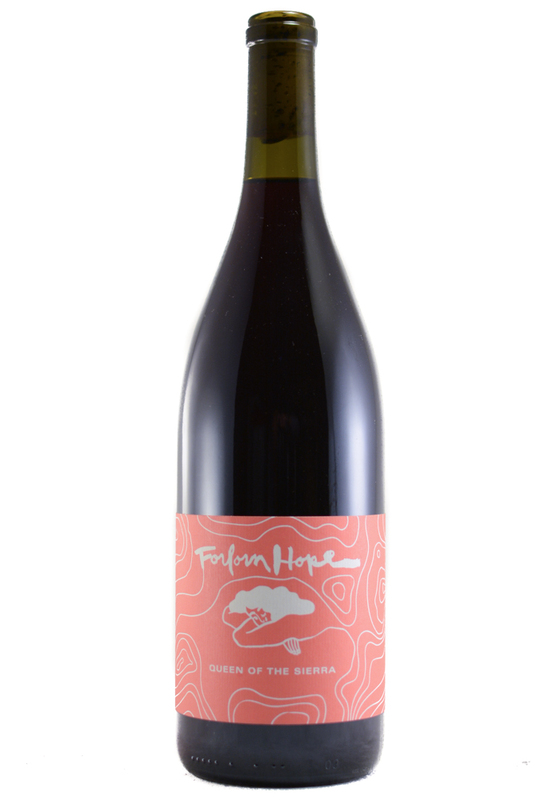 The Forlorn Hope wines are the result of a project devoted to displaying the wealth of California's viticultural potential -- as well as championing varieties less common. Taken as a departure from the stereotypical Californian product, the Rare Creatures of the Forlorn Hope display what is possible when great care is taken in combining soil type, climate/site, and variety to produce wines which require no manipulation. The Queen of the Sierra wines are an exploration of the potential of Rorick’s 80 acre estate vineyard.